Winter Solstice magic has been recorded and celebrated - from the earliest of times. History and archeology both record facts about the ancient beginnings of Solar Season traditions. Trees were honored with offerings and considered sacred as etched into caverns during cave-dwelling times. No matter your religious or cultural heritage, the Winter Solstice season is a traditional time of gathering together and celebrating. All cultures hold rituals around the time of Solstice, the longest night of the year. 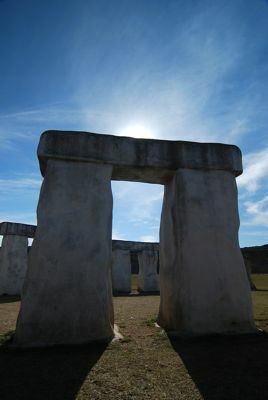 Solstice or sun cycle celebrations began from our earliest records and stone monuments, many from long-forgotten cultures. All mark the date "the sun stands still"
- that's what "solstice" means. It is the day the sun appears to reverse direction and a new solar cycle begins. The old, old practices and teachings formed the foundation of later religions and spiritual rituals and can still be seen in communities across the world. Winter Solstice is one of those rare times when humanity comes together in a global celebration. 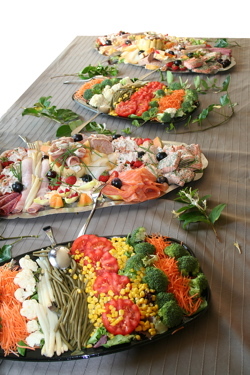 First, it is a time of feasting and celebrations in anticipation of the "return of increasing sunlight"
-soon to be the springtime promise that assures another year of abundant crops. Second, it is a time of soul searching, and a time to follow Nature: As Winter Solstice "turns within" the teachings of the mystery schools advise looking within yourself. It is a time for deep reflections; and of looking back over your past experiences, and planning changes to assure a better future. Now is the time of planting seed ideas that magically grow into the New Year. Winter Solstice Magic details one such practice from Russian Shamanic traditions. Third, it is a time of exchanging gifts and showing gratitude and appreciation for family and friends. Tis the season to share and enjoy. Gifts can be a kind word or helping hand. Gifting is an ancient tradition shared between nations, between families and as a token to seal a pledge, promise or an agreement. 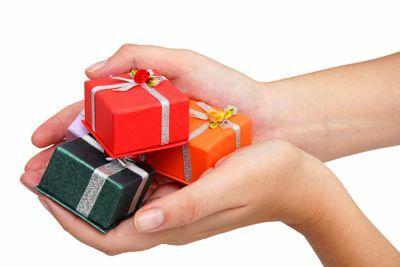 Learn the art of Holiday Gifting: increase your own wealth too. The returning sunlight is "invited in" with many symbols: Trees and evergreens, a variety of fires, candles, logs; and always singing and dancing. All the Winter Solstice symbols are a reminder that the sun is eternal, the cycle is renewing, and so are you. The sun is a symbol of our interconnectedness. It shines equally on all, and mother nature supports all equally. It is a time of finding unity. Life on earth continually changes, yet the sun endures. It is the source of light and life. Cultures change and traditions come and go, and symbols are in or out of favor. The return of the light on Winter Solstice underlies all traditions of this season. A decorated tree or candles burning brightly, and special holiday feasts, all make the season a time of magic. Trees have historically represented nature or Mother Nature, and have a long history of being the center of celebrations. The Bodhi, Banyan and Palm tree are all revered too. The evergreen is recognized for it's promise of the return of the "greening" of life in the coming Spring season. The Goddess religions reigned for 20,000 years and certain trees and groves represented her. Later, the Jewish mystical Kabbalah wisdom teachings use the Tree as a symbol of the pathway to enlightenment. The Tree is a symbol of regeneration, of life force and of renewal. Today it is usually referred to as a Yule or Christmas tree or New Years tree depending on the customs of different nations celebrating the Winter Holiday. 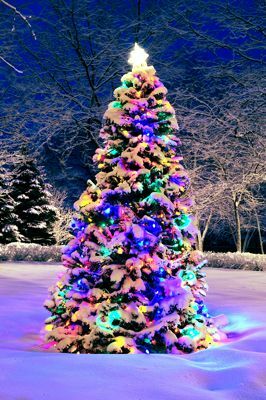 As in days of old, communities now (cities and capitals) erect a special tree and decorate it with lights and ornaments. Ancient traditional Winter Solstice began with the New Moon in November - culminated on about December 21st at Solstice, and continued to the New Moon in mid-January. It was also a time of gift giving to assure abundance in the coming year. Here are a few contemporary traditions from around the world. View the trees too. Moscow, Russia, celebrates New Years on January 7th according to the ancient Orthodox calendar. The tree custom dates back to the 17th century and Peter the Great. Religious celebrations were banned for a long period and today New Year is the official holiday. Celebrations begin weeks before Solstice and on January 7th, Father Frost and the Snow Maiden arrive on a magical troika sled or carriage drawn by three horses harnessed side-by-side. They deliver gifts placed under the traditional fir New Year tree. The Turkish New Year celebrations began in the late 1920s. About 95% of their population is Muslim, and Turks do not celebrate Christmas. As in olden times, gift giving is a part of the winter holiday. New Year celebrations became very popular in Turkey and decorated trees symbolize abundance in the new year. The tree marks the beginning of the celebrations on about December 15th and continues to about January 15th. The mid date of December 31st is considered New Year's Eve. Madrid, Spain's two-week celebration at the Puerta del Sol features a huge, festive tree that promises wealth and abundance (as in ancient times.) At least one will win El Gordo (the fat one), the world's biggest lottery drawn almost on the actual Solstice on December 22nd. There are more promises of wealth and abundance at the huge Galeries Lafayette in Paris, France. The giant Christmas tree in the center almost reaches the ornate baroque dome and is surrounded by 10 stories of high fashion luxury. This tree and the beautifully decorated department store draws more visitors than the Louvre and the Eiffel Tower. Trafalgar Square in London, England, has been gifted with a large Norwegian tree each winter since 1947 - (in 2009, for 63 years) as a token of gratitude for Britain's assistance during World War II. The ceremony marks the beginning of the holiday season. The city of Oslo decorates the tree (as tall as the main square fountain) in traditional Norwegian style with hundreds of individual white lights. In Washington D.C., USA, the capitol's huge tree is decorated with lights and more than 3,500 ornaments made by schoolchildren from around the country. The holiday begins in early December with lighting the Christmas Tree and the Pathway of Peace. The "Pathway of Peace" consists of 56 smaller, decorated trees representing all states, territories, and the District of Columbia. The tradition began in 1954 when the trees were planted surrounding the National Christmas Tree. They are all illuminated each evening at dusk through January 1st. Seasonal displays include a Yule log, a model train, and musical performances every evening. Europe's tallest Christmas tree stood for the first time in Lisbon, Portugal in 2004 at over 76 meters. In 2009 it will stand in a park overlooking the city and the river and is about 44 meters. The park is much higher so the tree is smaller so as not to interfere with air traffic. It is decorated with thousands of lights and is sponsored by different companies at a cost of one to two million euros. The lights are turned on on November 22nd and continue during the holiday season until January. That timing is similar with the ancient Solstice celebrations from the New Moon in November to the New Moon in January. Holiday Tree Traditions in the cities around the world are beautiful -- and an amazing variety. Here are insights into the magical relationships between mankind and the Solar cycles, the Tree, lights and Winter Solstice. Cave Drawings & original practices. Early cave drawings depict a tree as a source of renewal and of inspiration. In the early Celtic, Druid, Norse, and Native American traditions selected trees became the focal point to connect with Earth Mother and the forces of nature. In India and Asia certain trees granted wisdom and enlightenment. Practices evolved that assured success and cooperation between the seen and unseen worlds of spirit. Many are the foundation of good luck symbols and fetishes, with the deeper meanings long forgotten. but a ritual of reassurance." The late Neolithic and Bronze Age archaeological sites in Europe dramatically align with the Solstices. The passage and chamber at New Grange in Ireland, are illuminated by the winter solstice sunrise for 17 minutes at dawn from about December 19th to the 23rd. A shaft of sunlight shines through an open box on the roof over the entrance shining into the passage lighting up the chamber. The stones that remain in the foundations and the primary axes of new Grange and Stonehenge were aligned to the winter solstice sunrise (New Grange) and the winter solstice sunset (Stonehenge). Stonehenge captured the exact time of the Winter Solstice using a rock ledge. Catch the Solstice Magic and align with traditions and the natural cycles. Other monuments include those in Egypt, Karnac, Gao Cheng Zhen and Maes Howe. Stone monuments and medicine wheels in both North and South America are oriented to the Solstice and Equinoxes. all attest to Native cultures orienting their practices and communities to the Solar Seasons. Egyptian: In ancient Egypt green palm fronds represented the triumph of the Sun God Ra over death. Brumalia (means "shortest day" or the Winter Solstice) was an ancient Greek festival honoring Dionysus, and later became a Roman solstice festival honoring Bacchus, generally held for 28 days, a moon cycle, and ending on Solstice. The festival included bonfires, music, dancing, drinking and gift exchanges. During the feast called Saturnalia, the Romans decorated their homes with evergreen plants as a reminder winter soon would be over, and that Saturn, the God of Agriculture, would return to the fields and orchards. The oldest and most popular European celebration of the winter solstice is Yule. On the night of Yule or Solstice, the Goddess gives birth to the new sun, eternally renewing the cycle of the seasons. Yule continues for 12 days. The Yule Nativity was Mother Nature, Father Time and the Baby Sun God. Other traditions of Yule include caroling, sharing gifts, decorating trees, holly, Yule logs, mistletoe, ivy, magical reindeer -- and the red and green colors now common for the season. For the Druid, the Oak King and Holly King were two faces of the same Life Force. The Oak King battled the Holly King at Solstice and won, bringing back the light of summer. At Summer Solstice, The Holly King wins, and the dark of winter prevails. Holly is the symbol of the dark giving way to the light in an eternal dance of the seasons. As Northern Europe was the last to become Christian, its pagan traditions had a major influence on Christmas. Scandinavians still call Christmas Jul. In English, the word Yule is synonymous with Christmas, a usage first recorded in 900. Christmas is the celebration of the birth of the Christian Deity Jesus Christ or the Messiah. His birth is observed on December 25, which was the Roman winter solstice established by the Julian Calendar. Christian's adapted folk elements of popular festivals from various cultures. Modern Christmas customs include: gift-giving, feasting, greenery, lights and bonfires, from the Scandinavia, Germans, Greeks and Romans; and Yule logs and traditions from indigenous European cultures, and various foods from German feasts. The Persian New Year, also known as Festival of Light dates at least to 1700 BCE in the early Zoroastrian era. Diwali, (Deepawali) is a religious festival associated with Hinduism, Sikhism, and Jainism. 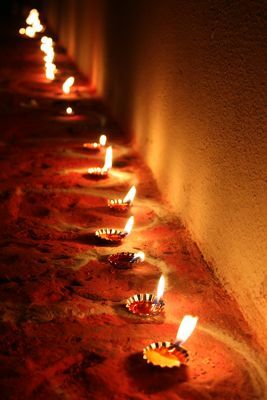 Festival of Lights in India - Ghee lamps. is the Festival of Lights ("deep" means light and "avail" means in a row or a row of lights). The four days of celebration lights up India with candles and lamps. but all celebrate the return of light and of auspicious events and deities. The date is determined by the Hindu calendar and ranges from mid-October to early December. Hanukkah is a Jewish festival also called The Festival of Lights. 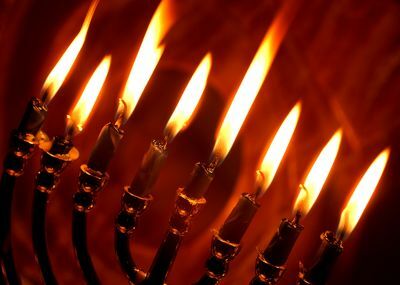 The first day of Hanukkah in 2010 is on Thursday, December 2, meaning the first candle to be lit is on Wednesday night, December 1. The holiday runs 8 days, through December 9, 2010. The date is set according to the Hebrew calendar. Ancient connections to this sacred magical time span the world, cultures and centuries. Our ancestors celebrated in many traditions. It's no wonder many today enjoy the celebrations at Solstice around a tree or lights -- and a time decorated and adorned with wishes of good will, harmony, prosperity and blessings. Although the ancient Solstice celebration is often called Christmas - that is more a result of habit than that Solstice traditions began with any one faith. In fact many early Christians such as Martin Luther and John Calvin banned it; the Puritans refused to recognize it; and the tree and other associated symbols was even made illegal in Boston in 1659. Many denied any association with the tree, fire and gifts as a pagan or a non-Christian celebration, which they are. You do not have to follow others and may want to make a new decision based on what feels right to you. Blending and adapting the best of it. China has long been home to three religions: Taoism, Confucianism, and Buddhism. Many Chinese are masters at blending all three. In contrast, the West usually divides itself up into separate faiths, each rejecting other religion's beliefs. Recently, however, in North America many new faiths are adapting new ideas from the sciences along with favorite old traditions. For example, the terms Judaism or Christianity today may refer to wide a variety of diverse beliefs and practices. Some Faiths are using elements from both Eastern and Western spiritual traditions and creating new religions or reviving ancient practices. Some choose to create a personalized path and a direct connection with Life Force similar to mystical or Shamanic traditions. Kwanzaa is a recent creation (1966) honoring African heritage and culture. It is a 7 day spiritual practice from December 26 to January 1, created by Dr. Maulana Karenga, Professor, Department of Africana Studies, CSU--Long Beach. It is the opportunity for blacks to celebrate themselves and their own history. Why not celebrate the Solstice traditions of abundance and renewal that appeal to you -- combined with your own spiritual practice. 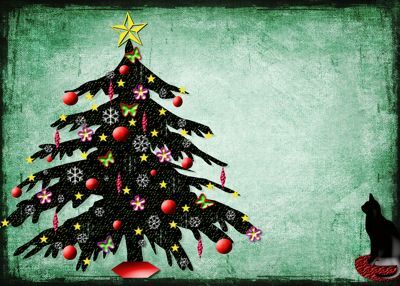 Today there is more enlightened religious flexibility, and many celebrate with a tree or lights at the holidays that are not Christian practitioners. If the magic of Solstice calls to you, respond in your own unique way. Use what has meaning to you and let go all that does not. This Winter Solstice take some quiet time and get in touch with your personal truth and those practices you enjoy and that enliven your Holiday Season - and enjoy knowing you are celebrating as your ancestors have - for many, many thousands of centuries. Quick Good Fortune: "You make your wishes known through what you value. Choose wisely for it will shortly surprise you." Use Winter Solstice Magic to Assure Your Success: Winter Solstice – is the time of changing from the old ways into the new. It is the start of fresh magical potential for great good fortune. This is the time of year to set new intentions and anticipate a successful future. Begin now to create the life you want to live in the coming year. The 4 major Solar Cycles (seasons) are defined by the Solstice and Equinox. Each turning point reflects both inner and outer times of changes. Living in harmony with Natural cycles enhances your creative power. Align with the currents of change and life easily flows effortlessly to abundance. Finally a quick, easy fun guide to tune into the season and yourself and make this a break-through year. This is a great practical reference guide you can easily follow. goes both up and down. And let your spirit fly."